I can’t wait to find out if this experiment increases the pregnancy results for these embies. My first thought on reading this is that the women who are hoping to gestate these embies would be more likely to benefit from a personal concert a little more than the embies themselves, if music lowers stress levels maybe it also increases the chances of conception. Recent research reported in The Guardian today states that women wanting to conceive in their 40s will have a greater chance of success they use donor eggs from a younger woman or freeze their own eggs in their twenties or thirties to ensure success in their forties. I’m pretty sure this is not the first report suggesting that women should freeze their eggs in their twenties or thirties if they think they may want to conceive in their later thirties or forties. You can read the report here. Perhaps this is the future of reproduction? Women and men freezing their gametes in the twenties, getting on with careers and setting up a home in the thirties and starting a family with their frozen gametes in their forties….. why not? According to Richard Dawkin’s reproducing “later in life” leads to a longer life. Perhaps biotechnologies mastery of reproduction is less dystopian and more utopian – if you want a long life, freeze your gametes…? 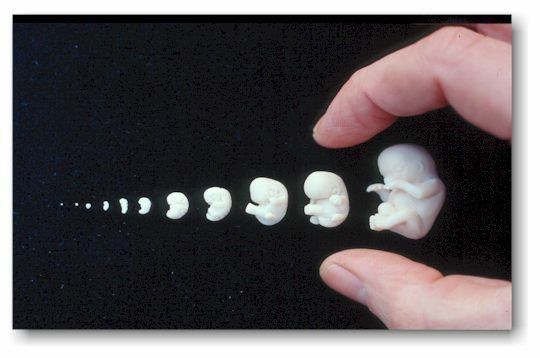 A human embryo holds a fascinating potentiality; to become life, to save a (sibling?) life, to extend kinship groups… as well as the potential to become waste and all the ethical, moral and legal thought emerging apace with bio-medical technologies and knowledge. This example (you can read the full article here) is interesting because it is basically a battle over an imagined future, or more exactly, a potential future.